The Song Category got reworked, adding new search power for instruments used in songs and for genres of songs. Even though at this moment there are 138 individual songs documented, we have increased the semantic cross-referencing to make this category more useful. So in addition to the new search functions, Songs are now also appearing on the ARTIST page of the original performer and if a song is included in a RECORD this is shown on the song page as well. This might be more valid for modern artists and songs, but this will also be useful for modern re-enactments of traditional songs. Further history articles have been started (and are waiting to be filled): Five Dynasties, History of Cantopop, History of Shidaiqu and History of Music during the People’s Republic of China. The recent music timeline of Xi’an got updated to reflect the demolition of music venues around the South Gate at the beginning of this year. A new short link page for quick contributions to the wiki has been set up and put online. A “cite this page” function, similar to Wikipedia, which gives you the choice of a number of established citation formats. Search functionality for Category:Songs that enables everyone to semantically search through the documented songs and list out according to GENRE and INSTRUMENT featured. 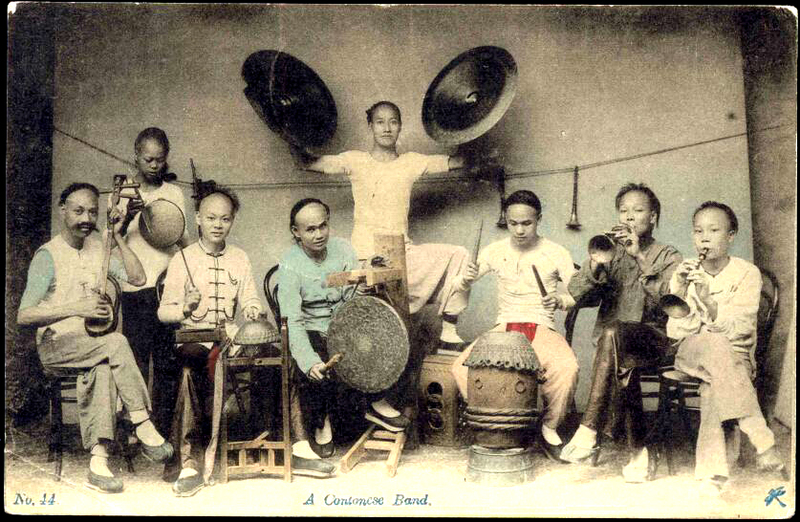 This is the third newsletter of the Chinese Music History project. Since our last edition, the following has happened. The extensive guqin website of John Thompson was included in the our reference list. New articles have been started such as Qin Monk Faction, Zhu Wenji, Yan Cheng, Bo Ya, etc. Each history article also received a map showing the geographical span of each dynasty. In future we hope to be able to add an interactive map to each article. Welcome to April 1st 2013 and no, this is not an April’s Fools Day joke: We are officially starting our Chinese Music History project and on this very day we can also announce that we have crossed 13 million pageviews!!! A media center has been set up where everyone is free to contribute media files or sources to media files along with explanations on copyright, etc. The National Museum of China has already granted us permission to use their photographs for our project. We got feedback from various corners of the world showing interest in the project, such as emeritus professors from the University of Yale all the way to Guqin Associations. Emails have been issued to all major institutions and associations in the field. With April 1st being around the corner as official start date, please spread the word and register at the Wiki to start contributing to human knowledge. We of Rock in China and Music-China.org are rolling out a new project: It is our aim to map and document the complete history of Chinese music online. Therefore we are inviting institutes, organisations, universities, professors, teachers and students to join in and support us. The reason for this project is the same reason that led us to start with Rock in China 9 years ago: Currently there is no overall comprehensive and detailed website about the historical development of Chinese music. And we want to change this and create a free public domain online reference. Independent from the topic of rock music we are going to look at traditional music, folk music, Chinese opera, Tang Dynasty music and many other Chinese music related topics. As we have expanded our online wiki into semantic web last November and received over 2 million page views in respond to that, we believe that we have create the right tool landscape to realize our aims. Above are two PDF documents which we are distributing. One showing a brief summary of the project and the other document giving a comparison between the intents of Music-China.org and Wikipedia – the other major public domain knowledge base everyone is thinking about when talking about humankind’s online knowledge. There is a distinct difference in the intent of both wikis and working on this project with Music-China.org is more benefitial (Wikipedia prefers short, comprehensive articles without the level of detail that we intend to generate). How can you help us? Help can be joining in on creating and editing of relevant online articles in our wiki together with other interested users. Help can be searching for copyright-free sources, media, photos and texts that can be used for our articles. Help can be also promotion of this project, announcing it online and establishing contacts with other interested parties. This project is intended to start in April 2013, but account registration is already available. Everyone who is actively helping is going to be mentioned on our project page with his/her user name and will also be mentioned as contributor in our project status newslets. I hope that you can join our project, either as individuals or as representatives of any of your affiliated organizations. We are open to all ideas, suggestions or critical comments and will definitely support in terms of account creation, introduction to wiki works and other topics. Invitations have been issued to the University of Aarhus, the University of Heidelberg, DianMo – Sinology Student Newspaper of Leipzig, Kulturgut 文化财富 China, Hamburger China-Notizen, the China Media Project at the Journalism & Media Studies Centre (The University of Hong Kong), Das Reispapier, the European Seminar in Ethnomusicology, the Department of Folklore and Ethnomusicology at the University of Indiana, the University of Wien, the Chinese Oral and Performing Literature (CHINOPERL) (中國演唱文藝研究會), the Association for Chinese Music Research, the Society of Asian Music, the International Insitute of Asian Studies, the Centre of Chinese Studies (SOAS), CHIME, the Centre of Chinese Studies at the University of Cambridge, the Department of the History of Art of the University of Yale and the Department for East Asia Languages and Literatures of the University of Yale. Ladies and Gentlemen – It is revealed! CORE IN CHINA was included in issue number 48 of the Painkiller Heavy Music Magazine as CD!!! 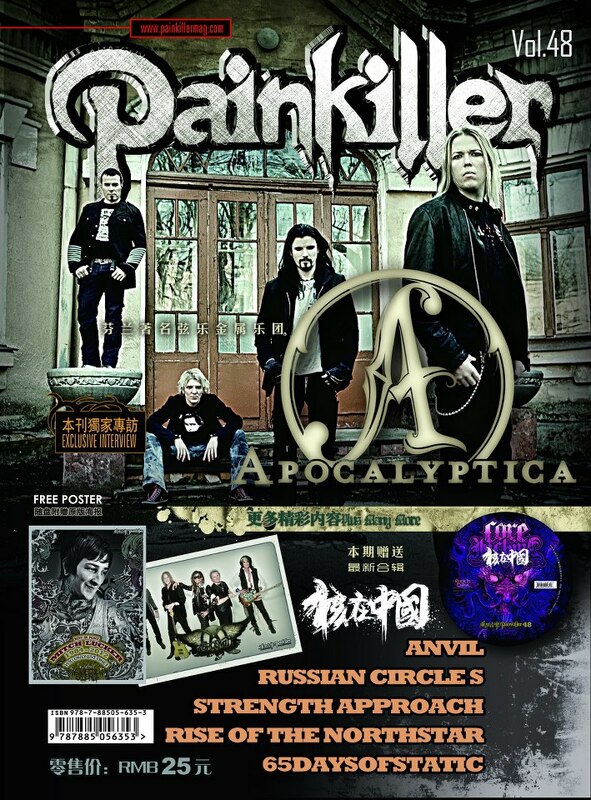 We are very proud that our project attracted so much attention not just overseas, but also in China itself, so that the guys of Painkiller decided to include the CD as free gimnick in their magazine to be distributed nation-wide!!! For those who haven’t listened to the CD yet, get a free download copy here! Something post-worthy about Chinese music in your mind? Tell us!